It’s one of the most common problem areas I see with kids in my pediatric occupational therapy practice: hand strength. Kids who struggle with hand strength may have difficulty with grasping a pencil, learning to use scissors, and managing clothing fasteners. 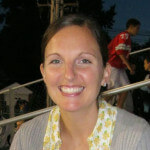 They are also likely to struggle with handwriting and other classroom skills. We look for a pattern of these red flags when we’re trying to determine whether a child has weak hands. 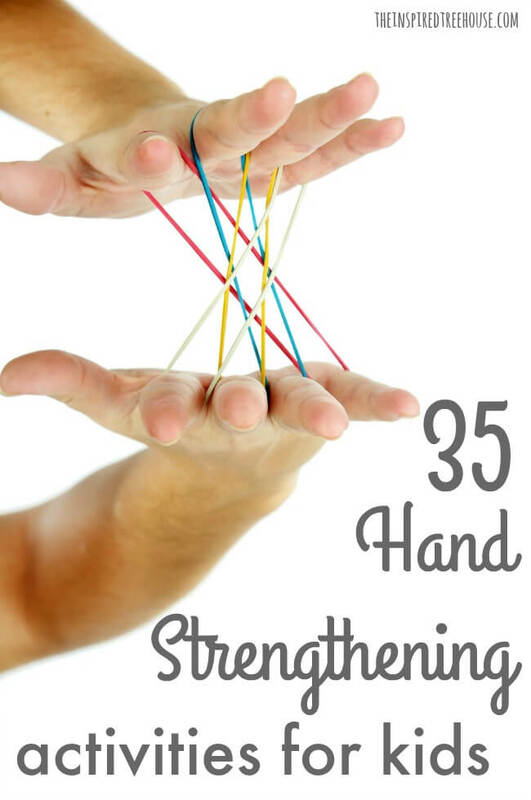 There are tons of creative and playful activities for kids that can target hand strength. Some of the best ideas involve building hand strength through everyday play! My favorites fall into three main categories: weight bearing activities, pushing and pulling activities, and squeezing activities. Check out these fun ideas for getting those little hands and fingers into shape! 1 || Crawling – Try relay races, obstacle courses, and other games. 2 || Donkey kicks – Have the child bend forward to place his hands on the floor and then kick his legs up behind them like a donkey. Try it during a game of Line Tag! 3 || Wheelbarrow walks – Have the child place her hands on the floor while you or another child holds her feet. See how far she can walk on her hands. Try a wheelbarrow relay! 4 || Yoga for kids – Poses like downward dog, table pose, and handstand are great weight bearing poses for kids to try! 5 || Play in All Fours – Try playing board games, coloring, or playing with toys in a crawling position so the child is holding his weight on his hands. 6 || Tummy Time – Here’s a great hand strengthener for babies…get them on their tummies! Fun tummy time toys help keep things a little more entertaining too! 7 || Lego or Duplo blocks – Both awesome for developing grasp strength! Smaller Lego bricks are great for older kids with more advanced skills, while the larger Duplo version is best for the younger crowd. 8 || Velcro – Pulling against heavy duty Velcro is another great hand strengthener. Try adapting books using Velcro, making file folder games, or making other fun velcro fine motor tasks! 9 || Connecting Beads – These large beads that pop together are great for strengthening the larger muscles of the hand and these pop beads are a smaller version, great for developing the precision muscles. 10 || Mr. Potato Head – A toddler and preschool favorite, this is a great starter toy for hand strengthening. The pieces are relatively big and easy to grasp and the repetition of changing the faces over and over again is great for strengthening! 11 || Rubber Bands – Kids can stretch and pull against the resistance to create masterpieces on a geoboard or try one of these fun rubber band fine motor activities! We also love this rubber band passing game and this easy fine motor activity! 12 || Pegs and Foam Pegboards – This is another great starter activity for young kids working on hand strength. The foam pegboards are a little tougher to push the peg into, providing resistance and a great opportunity for strength building! 13 || Tape – Pulling tape off of the roll and/or pulling it off of various surfaces (walls, tables, floors) is a great hand strengthener for kids. Check out these easy activities for kids using tape! 14 || Pop Toobs – These things are awesome. I’ve never met a kid who didn’t love the cool sound they make and the neat vibrating sensation when you pull them apart and push them together. Play a few rounds of tug of war with these little gems and you’ve got your hand strengthening in for the day! 15 || Rolling Pins – Grasping, pushing, and rolling with a rolling pin are great ways to strengthen little hands and fingers. Try it on play dough, bubble wrap, or during cooking activities! 16 || Theraband – This stretchy stuff is another great “tug of war tool”. There are all kinds of ways to pull on it and against it to strengthen hands – kids will be in love! 17 || Squigz – If you don’t know about these rad little suckers, you totally need to check them out. They’re fun, they’re colorful, they make a great little popping noise when you pull them – distracting kids from the fact that they’re getting a great hand workout! 18 || Climbing – Climbing on just about anything is awesome for building hand strength in kids. Think ropes, ladders, trees, jungle gyms, any playground equipment, and more! 19 || Tearing paper – Two little hands working together to tear through paper is a simple and fun way to target hand strength. 20 || Cooking with Kids – Kneading dough, stirring batter, scooping, cutting, you name it…if it happens in the kitchen, it’s probably a hand strengthener! 21 || Playing with play dough, putty, or clay – Squishing, pinching, rolling, squeezing, smushing – all great for building muscles in the hands! 22 || Sponges – Get kids involved in chores where they have to wring out sponges or wet rags – clean house and strong hands? Don’t mind if we do! 23 || Spray bottles, water guns, squeeze bottles – Have a water fight in the backyard, have kids water your plants with a spray bottle, or try Erupting Rainbow Sidewalk Chalk Paint in a squeeze bottle! 24 || Squeeze Balls or Stretchy Balls – Use these as fidget toys or challenge kids to do several reps of squeezing or pulling to build strength. Check out this super fun Feed the Mouth Ball activity! 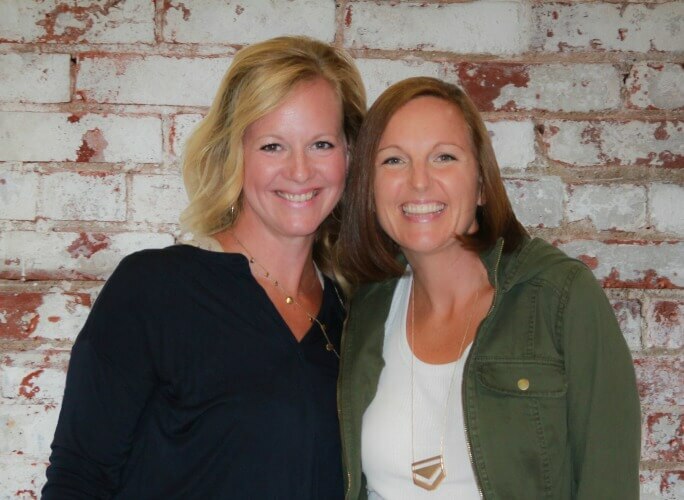 25 || Clips and clothespins – Some of the most commonly used materials in my therapy practice! There are a zillion ways to play with clips and clothespins! This fun Monster Munch Fine Motor Game is my students’ favorite (and mine too)! 26 || Hole Punches – These little hand strengtheners come in all shapes and sizes – great for making hole punch crafts with kids! 27 || Scissors – Try cutting against resistance: thicker paper or cardstock, play dough or clay, or check out this cool idea for practicing scissors – great for visual motor skills and hand strength! 28 || Glue Bottles – Crafting with liquid glue is an easy way to help kids work on hand strength. Try this visual motor and hand strengthening quick tip! 29 || Turkey Baster – Squeezing the squishy end of a turkey baster…what could be more fun? Use one to blow pompoms across the table or try a turkey baster relay! 30 || Sensory Balloons – Fill balloons with dry rice, beans, flour, or play dough. Have kids squeeze and squish them in their hands to build strength. Check out this fun Baby Bumblebee Activity! 31 || Crumpling Paper – We love doing this during handwriting practice. Use smaller pieces of writing paper and have kids write sight words, spelling words, or short sentences on them. Then, crumple up each piece to shoot a basket into the recycling bin! 32 || Bath Toys – Squishy, squeezy toys can make bath time even more fun! Especially the ones that squirt water! 33 || Milking a Cow – Don’t have a real one? We didn’t think so. Try this fun fine motor strengthening activity instead – it’s one of our most popular activities here at The Inspired Treehouse! 34 || Bubble Wrap – It comes in all different sizes and kids love the sound it makes when they snap it between their fingers. The bubble wrap with the smallest bubbles is best for strengthening those Super Fingers, while larger bubble wrap can strengthen the whole hand! 35 || Tongs and Tweezers – Use them to pick up pompoms and other toys, throw them in a sensory bin, or use them to pick up blocks to stack into a tower! 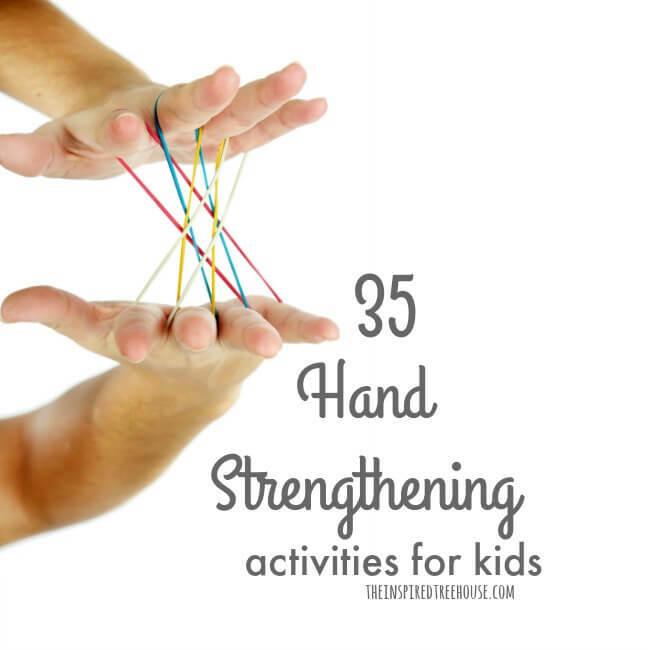 Looking for more hand strengthening therapy tools for kids? 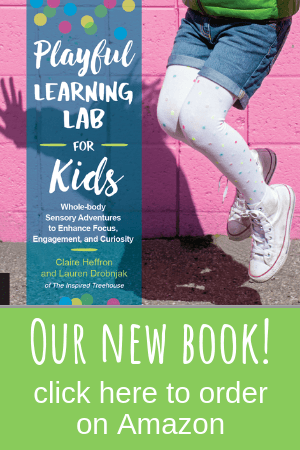 There are tons of fun and playful ways that we can help kids build hand strength in the classroom, in the therapy room, and at home! Stay tuned for the new Hand Strengthening Exercise Program – coming your way soon! This 23-page printable digital child development resource is packed with more than 30 ideas for building hand strength through play and includes QR codes that lead to engaging video clips of each activity. The resource also includes printable cards with the scannable QR codes and suggestions for using them at home, in the classroom, or in the therapy room. How often should these activities be done? I teach Kindergarten and have 2 students who need to strengthen their hand muscles. Thank you for such wonderful ideas…very helpful! Hi Tina, thanks for taking the time to comment and for your kind words! I know some kindergarten teachers who work fine motor strengthening activities like these into their routine every day. They’re perfect for centers or break times and every day exposure – even a couple of times a day – is great for strengthening! Would weak hand strength affect my child’s ability to tie his shoes? We were given activities to strengthen his fingers from the school a couple of years ago, but he has yet to tie his own shoes. He can go through the motions, but actually getting the knot tight enough is a struggle for him. Podrian traducirlo al español, por favor ? Yes, poor hand strength may be a contributing factor to your son’s shoe struggle. Continue to encourage him to tie his own shoes. Using some of these awesome strategies will help as well. Wonderful c ideas. I’ll try these at home. With my 8 year old girl. Thanks for sharing. My daughter is 10 months, she does not roll over or crawl, sits assisted most times. Do u have any more activities other than tummy time for this age group. Thanks in advance. je n’arrive pas à commander vos fiches. Merci d’enregistrer mon mail afin de pouvoir commander. After reviewing my granddaughters IEP report to get a better understanding of where I can assist her in her progress, hand eye coordination and hand strength seem to be the one thing that stood out. After reading your site has helped me so much. Thank you.